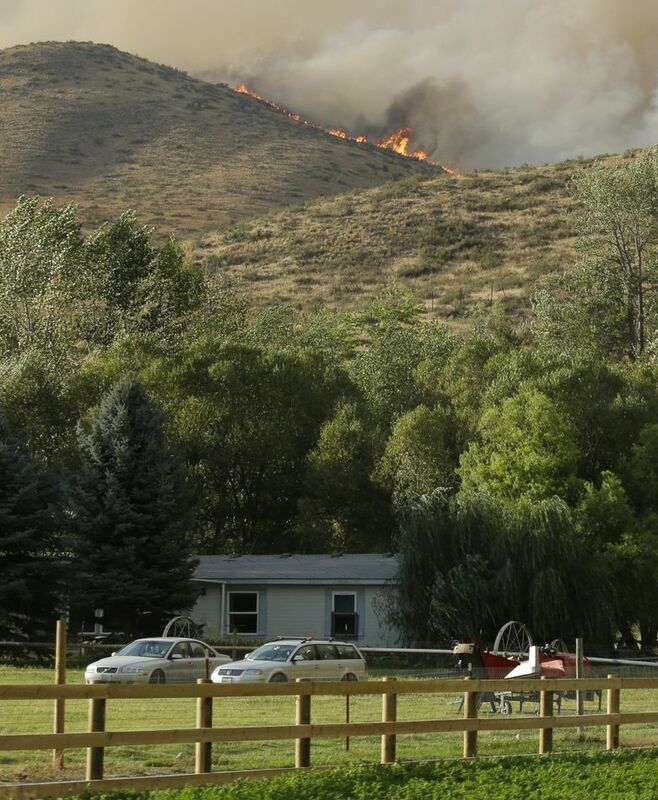 Three firefighters were killed Wednesday while battling a wildfire near Twisp. 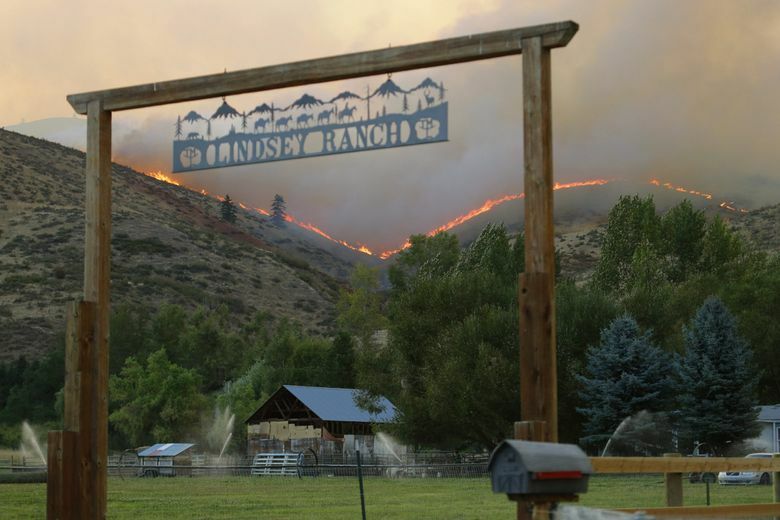 The tragedy comes as 4,000 households in Twisp and Winthrop were ordered to evacuate. 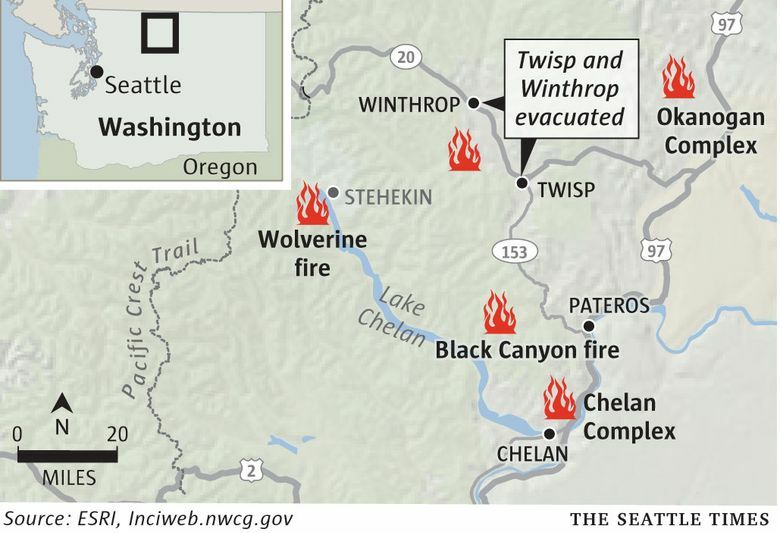 A wind-whipped wildfire outside of Twisp trapped and killed three U.S. Forest Service firefighters in a vehicle Wednesday afternoon as the blaze exploded across the sunbaked foothills of the North Cascades and raced toward two towns. In a statement Wednesday night, the Forest Service cited an account from Okanogan County Sheriff Frank Rogers, who has said the firefighters died after engaging the fire, then becoming involved in a vehicle accident and ultimately being overtaken by the flames. “We are devastated by the tragic loss of three of our Forest Service firefighters,” Mike Williams, Forest Supervisor on the Okanogan-Wenatchee National Forest, said in a statement. 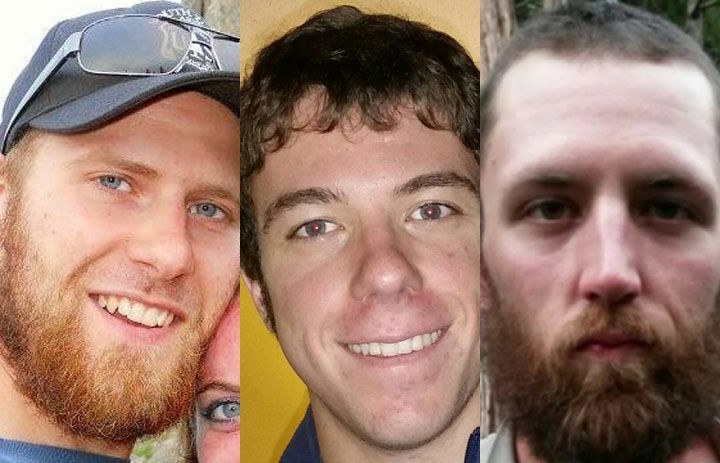 All three firefighters were local, based out of the Methow Valley Ranger District. “They were on an initial attack operation at the time,” U.S. Forest Service spokeswoman Shoni Pilip-Florea said Thursday morning. Four other firefighters also were hurt while fighting the blaze, the Forest Service confirmed. One is a Forest Service employee. The others are state Department of Natural Resources firefighters and a DNR contractor. One firefighter was taken to Harborview Medical Center with burns over 60 percent of his body, said Susan Gregg, spokeswoman for the hospital. He remains in critical condition in the intensive care unit Thursday morning, Gregg said. She said he is surrounded by friends and extended family and was able to see some of them. The firefighter, whose name is not being released at this time, is with the Forest Service and was assigned to the Okanogan-Wenatchee Forest group. He was on the engine with the three firefighters who perished, she said. The fire ignited sometime Wednesday afternoon about five miles outside of town on the Twisp River Road, Okanogan County Fire District 6 Division Chief Keith Comstock said. Driven by high winds, the blaze exploded and shot tendrils in all directions across parched terrain. A plume of brown smoke billowed skyward, as the fire splintered and rode the terrain’s hills and hollows to the north and east, Comstock said. It raced east toward Twisp in one direction, while running north another way — toward Patterson Lake and the Sun Mountain Lodge, a resort and spa west of Winthrop. Emergency officials quickly ordered about 4,000 households evacuated in both towns. When the fast-moving blaze forced a partial shutdown of Highway 20 — the Methow Valley’s main vehicle artery — emergency crews directed people to safety via a circuitous southern route. Fire officials didn’t immediately know how many homes or acres that fire had consumed by early Wednesday evening. A Red Cross shelter had been set up at Brewster High School, and the Home Depot in Omak had opened its parking lot to temporary camping for the displaced, she said. The fire in the Methow Valley ignited as Okanogan County emergency officials already were dealing with four wildfires burning northwest of Omak. 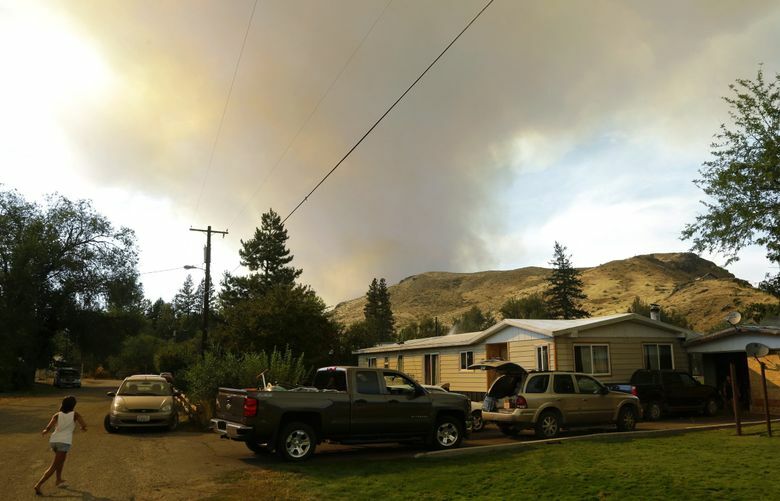 Those lightning-sparked fires, known collectively as the Okanogan Complex, had spread across nearly 31,000 acres as of Wednesday morning and forced the temporary evacuation of the town of Conconully, population 200. The fires had destroyed three homes and 10 other structures, and posed a threat to 115 more residences, state fire officials reported. 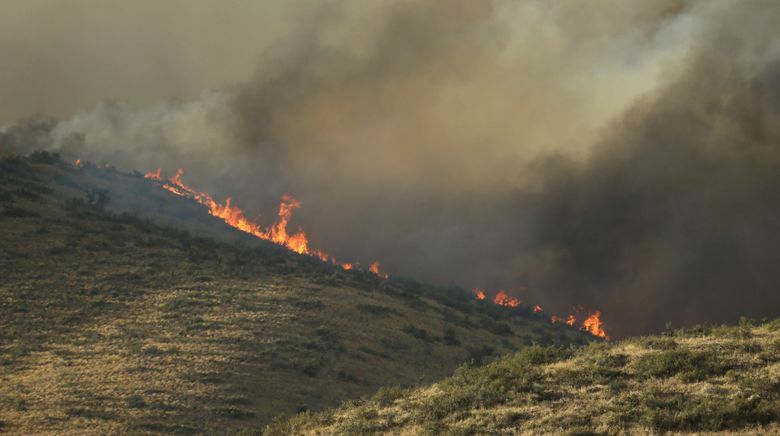 By nightfall Wednesday, at least 10 fires were burning throughout Okanogan County amid rapidly changing weather conditions and shifting fire lines. With winds expected to pick up substantially over the next two days, emergency officials warned the public in a Facebook post to closely monitor weather reports and stay alert. 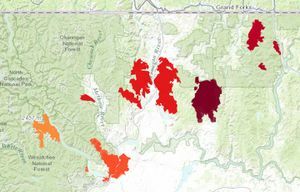 “People in the area should be very aware of their own situation, check on neighbors who may not have phone or radio access, and know routes you can use if you need to evacuate,” the Okanogan County Emergency Management’s Facebook page warned late Wednesday. Earlier Wednesday, Seattle City Light started evacuating employees and others from the town of Diablo, Whatcom County, and nearby areas as another blaze, the Goodell Creek Fire, approached the utility’s Skagit Hydroelectric Project. City Light was operating its three dams remotely, but the fire forced the utility to shut down the transmission lines that carry electricity. The inability to deliver electricity could cost the utility about $100,000 per day, a news release said. These new challenges came as crews Wednesday started to take control of sprawling wildfires burning near Chelan. 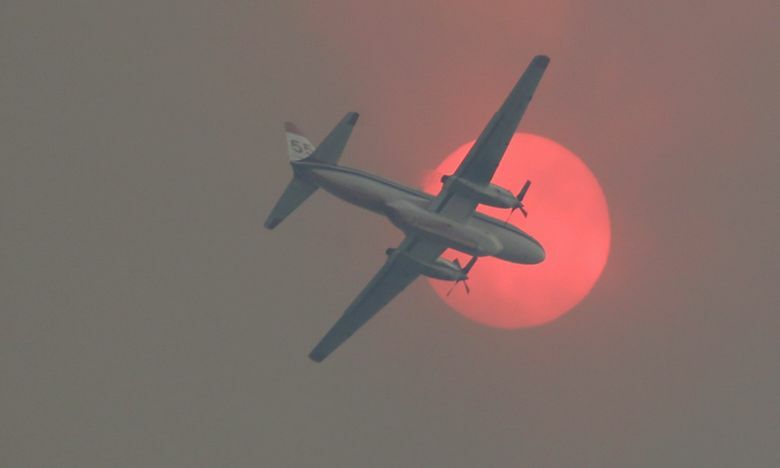 With at least 18 large fires now raging throughout Washington, the state’s Department of Natural Resources on Wednesday afternoon ordered a shutdown of all industrial activities across most of Eastern Washington’s forests until further notice. The move, believed to be the first of its sort in more than 20 years, comes as the state ratcheted up its so-called “Industrial Fire Precaution Level” to a level 4 on Wednesday — the highest for its fire-danger rating system. That action prohibits activities such as logging and road construction. 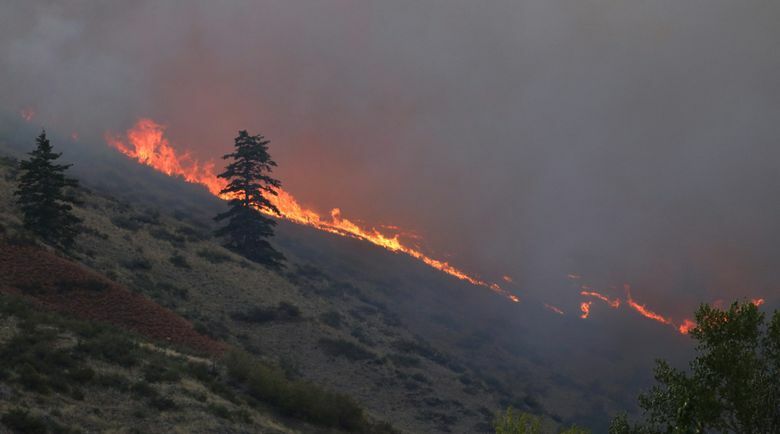 Near Chelan, the three merged fires known as the Chelan Complex had grown to nearly 70,000 acres by Tuesday, but firefighters were able to contain its spread to the south and east. With that fire about half contained as of Wednesday, Lorena Wisehart, a public-information officer for the team managing the fire, said firefighters had started “mopping up” some areas. 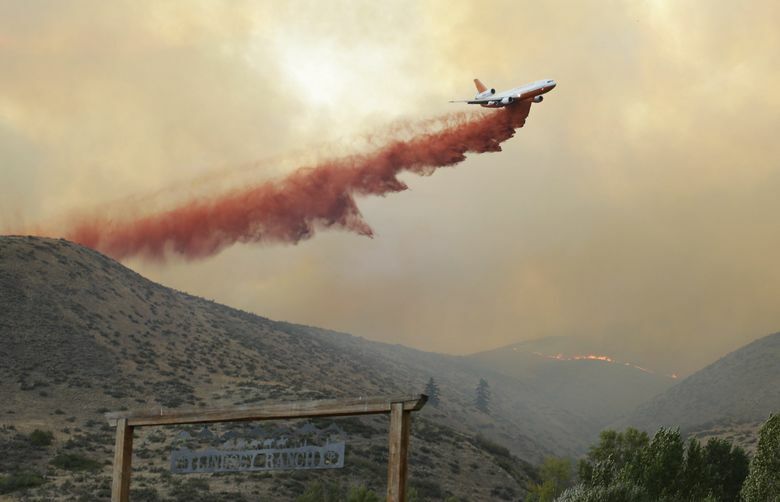 The fires mainly avoided the town of Chelan, after crews dropped fire retardant from near the town’s south end. 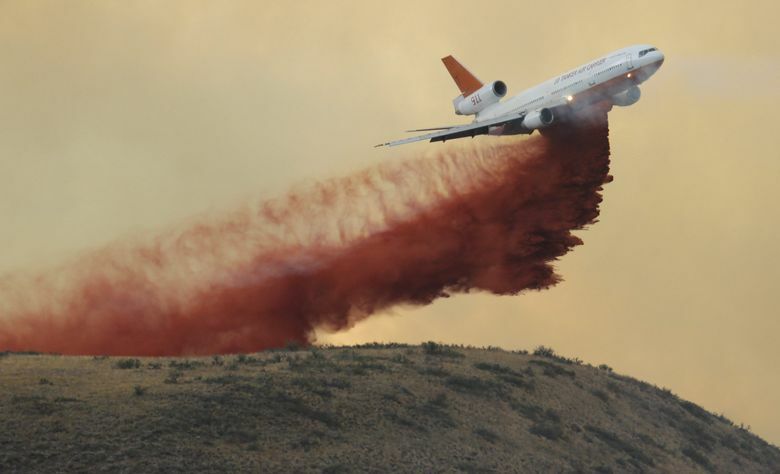 “When that DC-10 came in and laid down the retardant, I would say that pretty much saved the town,” Mayor Bob Goedde said Wednesday. 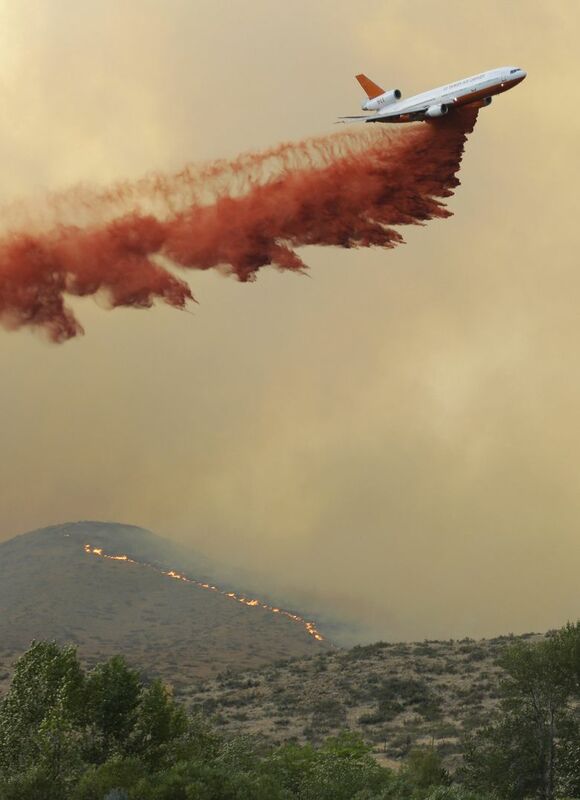 In turn, the fires “skirted” Chelan, before jumping east and raging out of control, he said. “We were lucky to only have about two houses within the town limits destroyed,” Goedde said. Still, the fire’s lingering smoke and road closures have dramatically hurt tourism — the recreational community’s bread-and-butter during summertime, the mayor said. 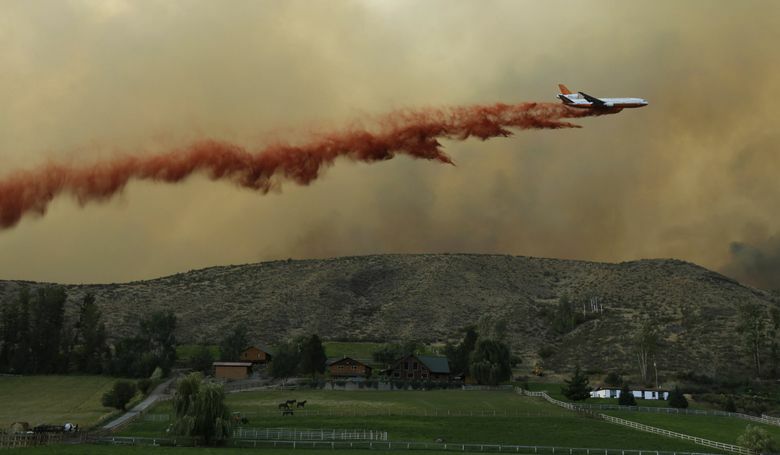 About 1,140 people continued battling the Chelan blazes Wednesday, building containment lines to protect structures. 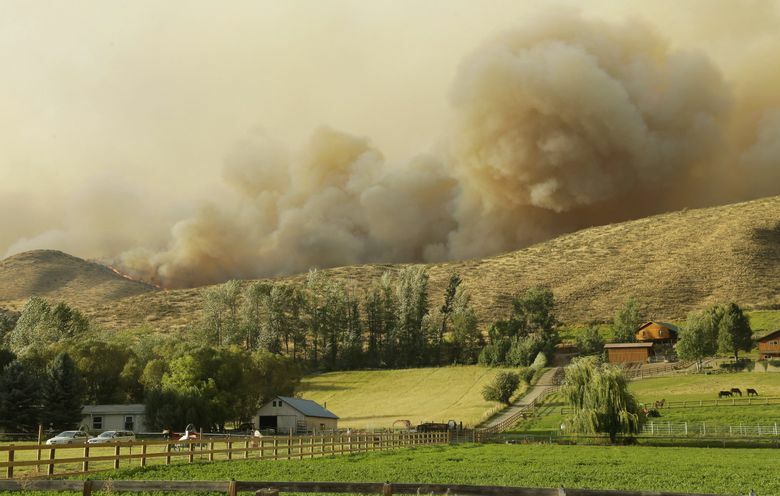 The fire has destroyed at least 73 structures in Chelan and Douglas counties, officials said. Sandy Staples-Hector, 75, of Redmond, said a “peaceful and beautiful” home her parents built in 1967 was reduced to rubble by the Chelan Complex’s flames. She said they would rebuild. Gov. 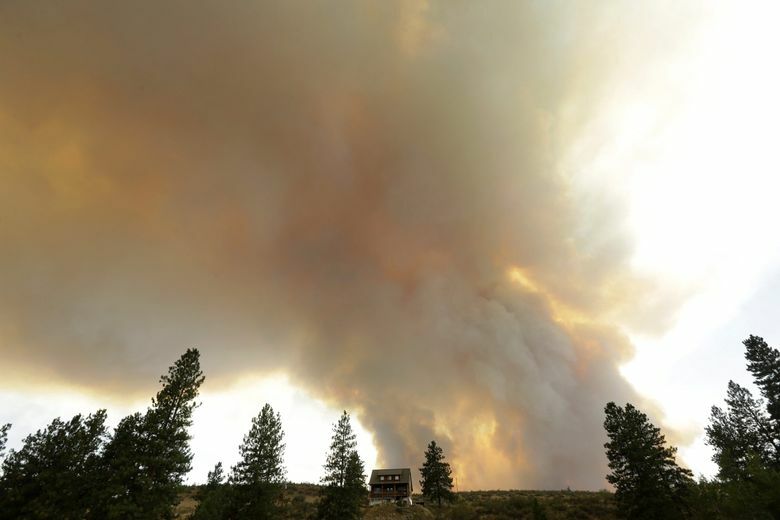 Jay Inslee on Wednesday also requested a federal emergency declaration to provide additional resources and cover some of the costs related to handling the fires, which have burned more than 235,000 acres in Washington. If approved, the emergency declaration would make financial assistance available to pay for costs of emergency-protective measures, emergency response and debris removal, and also provide direct federal assistance from federal agencies. 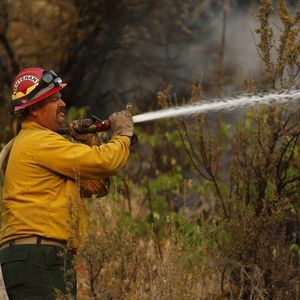 Blazes throughout Washington and the West have been fueled by hotter weather and drier than typical conditions this fire season, state and federal fire officials have said. The National Weather Service in Spokane said it expects winds and possible thunderstorms Thursday night through Friday night, with gusts up to 45 mph possible for the Okanogan Valley. “These winds could wreak havoc on existing fires on Friday,” the agency wrote. Two U.S. Forest Service firefighters were killed in the past month battling wildfires in California. One was killed Aug. 8, struck by a tree in the Lake Tahoe area. The other died July 30 in Modoc National Forest, as he scouted the area for ways to fight that fire. On July 10, 2001, four U.S. Forest Service firefighters died battling the Thirty Mile Fire in Okanogan County. The four were part of a 21-member fire crew caught in a valley in the middle of the blaze. Six others were injured, including two hikers. The 9,300-acre fire was ignited by a camper’s fire 30 miles north of Winthrop in the Okanogan National Forest in the Chewuch River Valley.